Struggling with a haircare SOS?...come on in the doors are open to the Salon Surgery. My hair's been highlighted relentlessly every 6 weeks for the last 5 years, I decided it was just becoming TOO blonde all over so my hairdresser advised me that using semi-permanant colours on my hair would make it more healthy and I'd be able to tone the colour down so I started doing it myself with a really dark blonde semi-permenant, Ganier Herbashine. However I want to get back to a lighter blonde but I love the way the semi-permanant hair colour is a lot nicer to my hair, I've bought a ligther blonde semi permanent colour - will this be ok to use? 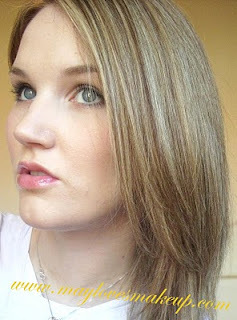 What would you recommend to help me achieve the blonde, but look after my hair and avoid me overcolouring? The thing is with semi permanents, they won't lighten hair, they can colour hair darker, or a similiar shade but the really blonde look you want back won't be achieved. If this isn't for you, you could try using a silver/purple shampoo (ebay usually do them for a decent price) or a toner to try and brighten the existing colour you've got. If you do have two colours when highlighting, make sure they aren't too different from your natural hair colour (a couple of shades higher and lower usually works well) then it'll blend any roots that come through so you can leave it longer between colouring and give your hair a break. 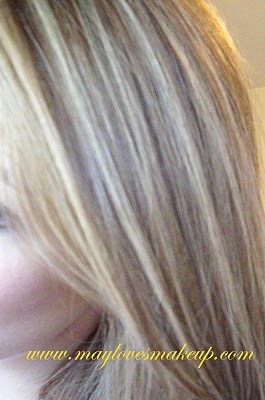 I know from experience a lot of people find the mid lengths and ends get blonder and blonder. You could ask them to colour only the root growth and sweep the colour through 5/10 mins before it's processed just to freshen the colour. Otherwise your mid lengths and ends are just getting more and more colour piled on them - especially with bleach, and bleach should never be taken to the ends of the hair if there is existing bleach there. With highlights the more you get the more the colour will blur, giving you an all over colour rather than the randomly placed natural looking highlights you wanted in the first place. May looks gorgeous! Love the different colours and shades through her hair. Mays hair looks fab! Love the salon surgery!